No one knows more about the way you think than you do. In The Dip, Seth Godin puts to rest the myth that winners never quit, insisting that winners quit better than anyone else. Godin’s primary point is that Dips are tiring, but worthwhile if you chose to fight through the correct Dips. If you’re wasting time and energy working through a Dip that will only lead to average, quit now. Quit fast. Reserve that time and energy for a Dip on the way to something extraordinary – something at which you will be the best in the world. My qualm with the book is its repetitiousness. It seems many books of this sort fall into this trap. The same hypothesis is repeated over and over again. Of course, this is probably an attempt to remind the reader what the point is, but I found that it started to feel childish. I wanted to tell Godin that my attention span was longer than he was giving me credit for. Naturally, this is a small and petty issue when I consider the fact that I do think his theory is intriguing, not to mention the fact that the book can easily be read in little over an hour. Though not a primary facet of his argument, I found Godin’s discussion of what being the best in the world means fascinating. He argues that “best” is entirely subjective. If someone wants their carpet cleaned, they won’t look for the best lawyer in the world, they’ll look for the best carpet cleaner. It stands to reason, then, that there are countless opportunities to be “the best in the world” – you simply need to figure out which niche you will excel in. This aspect of the book was particularly interesting to me because it’s so promising. It operates as motivation to read and follow the rest of Godin’s guidance. It assures us that all the fumbling and confusion that we’ll have to deal with as we strive toward greatness will be worth the reward, as long as we’re working toward the right goal. Since when do people not want to hear, “It will be all right in the end?” The fantastic thing about Godin, though, is that he means it. He’s sure of it. His certainty not only in his method, but in the reader, is encouraging. It’s also rather infectious. 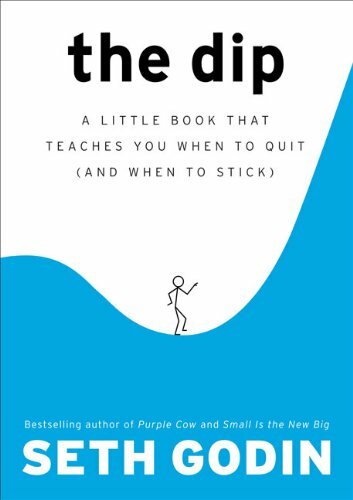 Ultimately, The Dip is a little book with a short but paradigm-shifting message: Figure out what you don’t want and quit messing with it. Figure out what you do want and fight till you’ve got it. There are a few within the review. Honestly, there’s no quote here because I forgot to look for one, and I want to post this now! Haha. 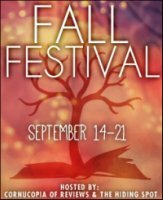 Plain and Simple: A Woman’s Journey to the Amish is, I’m afraid, the sort of book I would probably never pick up of my own accord. Thankfully, my mom convinced me to do so, and any book recommendation from her has great weight, considering she doesn’t read much. To my delight, Plain and Simple turned out to be one of the best memoirs I’ve ever read. I think one of the reasons the book resonated with me was its applicableness to issues I’m dealing with in my life, but its message is one that anyone could benefit from. It’s full of the sort of anecdotes that will be lodged in your brain, ready to be accessed when a need arises. Bender’s struggle, sort of a mid-life crisis, really, is so relatable. She’s not going through a drastic, dramatic change, but she’s dealing with the confusion and muddled nature of everyday life, trying to figure out what her place is in her family and where she belongs in this world. The dilemma may sound mundane, but upon reading Bender’s story, I realized that these are the issues that we inevitably face, often over and over again. I also realized that I’ll be reading this book over and over again when I find demons of self-doubt have risen once again. A qualm I have with many books of this nature – self-helpy books – is monotony. It seems they always repeat the same “epiphany” in every chapter. The fact that this book weaves narrative with self-reflection helps eliminate this issue, but Bender also shows the reader how her epiphany evolved over time. Sometimes, in fact, she found that what she thought was a wise conclusion was, in fact, not, and she must keep looking for answers. In this way, Plain and Simple becomes less of a self-helpy book and more of a journey, an adventure. I also appreciated the insights into the life of the Amish. It was fascinating to learn that there is much variation between different towns and families. Bender relates her visits with various Amish families in such a raw, unpretentious way that I felt like I was discovering and learning alongside her. She never judged their way of life, forcing her perception of them on the reader, instead displaying all that she saw and allowing the reader to form an opinion of their own. This simplicity is what makes Plain and Simple plain and simple. The messages of this book are not going to go over your head or be too abstract to apply to your own life. There isn’t really just one message. This book is a buffet of ideas and food for thought, and you’re left to do whatever you’d like with it. I love this. I love that it means this book can be something different for anyone and that it can be something new every time its reread. Plain and Simple is whatever you need it to be.